How do I archive and unarchive a blueprint? 4. 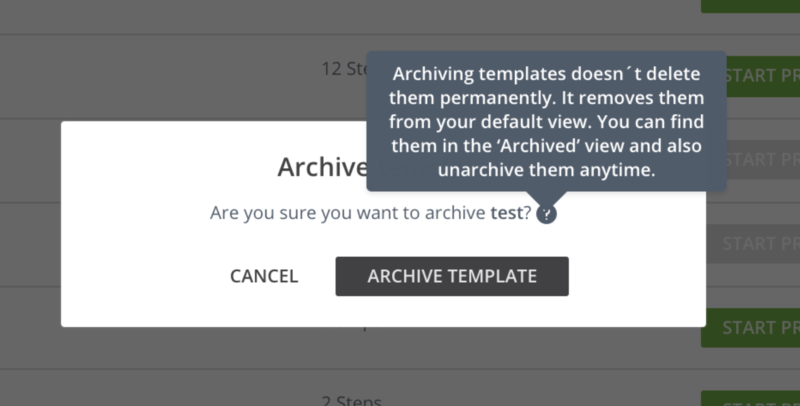 Find archived blueprints under the dropdown 'Archived Blueprints'. You can unarchive them form there. The ability to permanently delete is coming soon. Please contact the Tallyfy Support team if you have any questions, to share any feedback or request a feature. We would love to hear from you!